Audrey Noone here has created an amusing short film which, whilst not developed or polished enough to sit amongst the best of its kind, will no doubt act as a promising calling card for her and her team in the future. In A Warming Trend we are thrown into a fittingly lifeless black and white portrayal of company meetings, drab offices and lifeless coworkers. The saving burst of energy comes from the lead character (Noone) who stands out in vivid colour against her monochrome backdrop. She is far from lifeless with a pent up energy and restlessness which occasionally literally manifests itself when she demonstrates the ability to boil water by holding a glass and when she crisps a fly by simply touching it. The concept of creating laughs from a woman having these powers due to her internal state is a simple one however it works well and produces a number of laughs. It does make the short feel more like a sketch than anything-else but that is not necessarily such a bad thing. Whilst many, myself included, would no doubt like to have seen a more polished screenplay than what is worked on here there is no denying that A Warming Trend has both a pleasing sense of humour and some genuine wit and intelligence to it. It very much feels like an early step for Noone both in terms of production quality and the strength of the script but based on what I’ve seen here I will be interested in seeing what she and her team are capable of over the next five years. 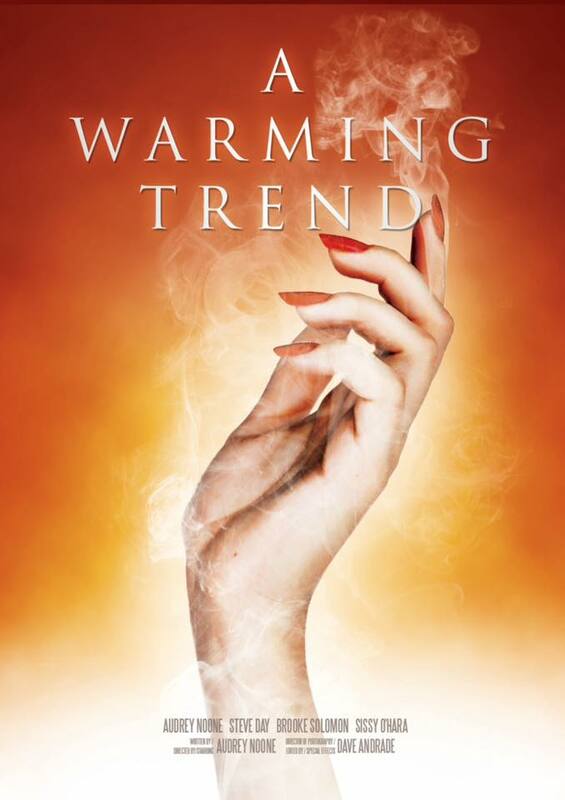 A Warming Trend is a simple comedy with humour that really works, even if it could have been developed further. See it if it catches your interest, it’s less than four minutes long so you may as well, but just don’t expect a perfectly slick end product. ← Exclusive Interview: Tilda Cobham Hervey Talks 52 Tuesdays!